This is one of my favorite go-to desserts because it is quick and delicious. It is equally good with any seasonal fresh fruit or berries as well as frozen and canned fruit. Today I am making it with fresh sour cherries, but also love it with canned peaches. Adjust your oven rack to lower-middle position and preheat the oven to 350 degrees. Put your butter (4 Tablespoons -1/2 stick) into an 8″ square or 9″ round pan and set in oven to melt. Bake until batter browns, 40 to 50 minutes. Cool slightly and serve. 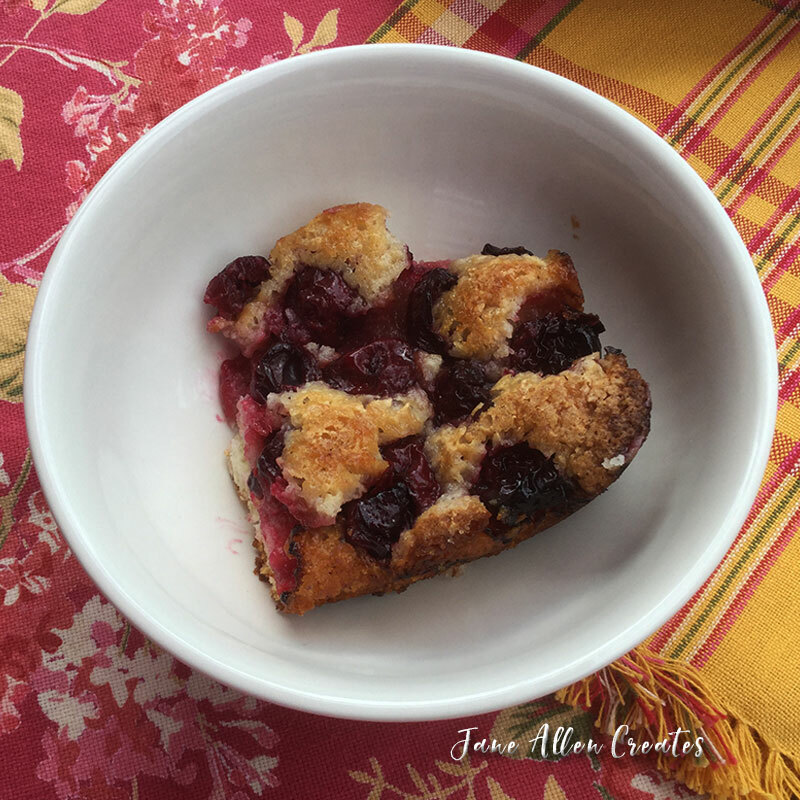 I hope you enjoy this easy to make fruit cobbler that can be enjoyed all year. It is yummy alone, but also delicious with ice cream and/or whipped topping. Looks yummy as all your sweets are! ….and you! Thank you my friend…and best of all it is easy.